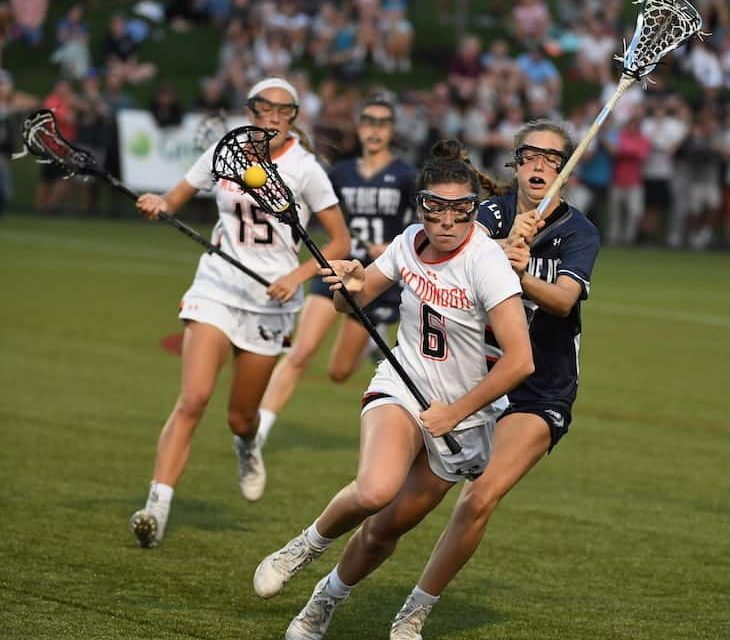 Things could return to normal in the local girls lacrosse scene this spring with McDonogh School favored to regain the IAAM A Conference title and No. 1 VSN ranking that Notre Dame Prep wrenched from them in dramatic fashion in the league title game last May. The Eagles are brimming with talent again, although they will face a slew of tough challengers in the IAAM A, including the aforementioned Blazers, Glenelg Country School and Roland Park Country School. Public school powers Glenelg, South River, Marriotts Ridge and Hereford also look to return to the top of their respective county races as the season begins to unfold in earnest. Pictured above: Emma Schettig, who will play for the University of Maryland next year, is among the returnees for McDonogh School. The Eagles are again No. 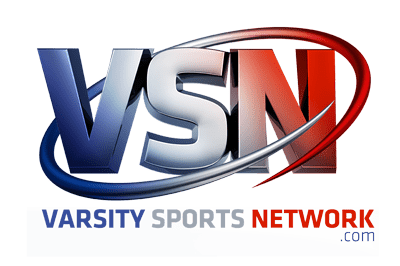 1 in the first VSN Girls Lacrosse Top 20 of the spring. Editor’s note: VSN ranks the top teams in the Baltimore region which covers public and private schools in Anne Arundel County, Baltimore City, Baltimore County, Carroll County, Cecil County, Harford County and Howard County. Off the draw: It would be foolish to assume that the Eagles are still reeling from last year’s disappointing loss — the program’s first since 2009 — to NDP in the A Conference final. As usual, they reload, this time with an abundance of talent under legendary alumna Taylor Cummings in a determined bid to reclaim their IAAM A Conference crown. Off the draw: After a magical ride to top of IAAM A last spring, the Blazers hope for a repeat in 2019. Players to watch: Shaylan Ahern, senior, midfielder; Kate Sites, senior, midfielder; Allie Bateman, senior attack. Off the draw: Dragons have enough firepower and versatility to be a serious contender again in the IAAM A Conference. Off the draw: Under new coach Meg Miller, Reds look to have a say in another highly competitive IAAM A. Off the draw: Three-time defending state champion Gladiators are primed for 4-peat bid this spring. Off the draw: Reigning Class 4A state champ Seahawks again have plenty of punch at both ends of the field. Off the draw: Mustangs ready to challenge Glenelg for supremacy in Howard County and Class 2A. Off the draw: With veteran squad back, Gators ready to build on IAAM A final four run in 2018. Off the draw: With stalwarts Peterson, May and Saunders anchoring their respective sectors, Bulls are favored to earn another Baltimore County championship. Off the draw: If Cavaliers defense, which limited McDonogh to six goals in IAAM A opener, can stay strong, Spalding will be a serious contender for IAAM A title. Off the draw: Although Albert’s go-to-goal ability alone should worry IAAM A Conference opponents, the Saints have other weapons to threaten rival defenses. Off the draw: Lions will rely on defense to challenge Hereford in Baltimore County and make another run at state 4A crown. Off the draw: The Knights are again the team to beat in Carroll County. Off the draw: Look for Falcons to contend again for Anne Arundel County honors – and beyond – this spring. Off the draw: Owls have a ton of talent to work with after state title breakthrough in 2018. Off the draw: Though young and inexperienced, Bobcats aim to make big splash in UCBAC Chesapeake and contend for 3A state title. Off the draw: Mawrtians look to build on last year’s comeback campaign, although a boatload of top point producers graduated. Off the draw: With only five seniors, junior-oriented Vikings might take time to gel before, hopefully, reaching full potential. Off the draw: The Cavaliers hope to build on last spring’s breakout campaign with a deep run in the Class 2A playoffs. Off the draw: After sputtering down the stretch last spring, Comets seek more consistency in 2019.